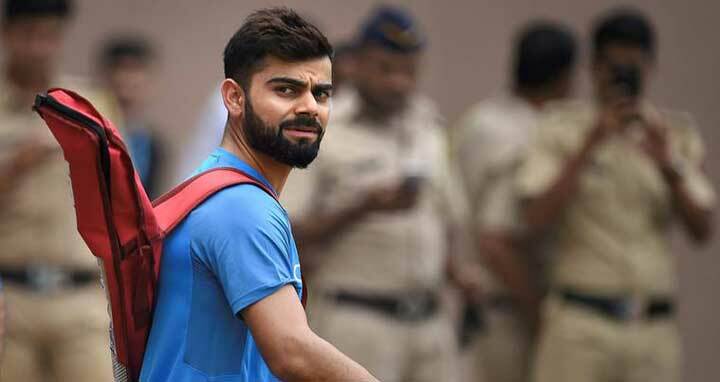 Dhaka, 3 September, Abnews: India captain Virat Kohli said being "competitive" was not enough after a 60-run defeat by England in the fourth Test at Southampton condemned his side to yet another away series loss. Sunday's result, achieved with more than a day to spare, left England an unassailable 3-1 up ahead of the fifth and final Test at The Oval in south London starting on Friday. For all India are the world's top-ranked Test side, they have now won just one of their last nine series outside Asia. A target of 245 at Hampshire's headquarters proved beyond them, with India dismissed for 184 after tea on the fourth day as England off-spinner Moeen Ali, the man-of-the-match, took four for 71. While the in-form Kohli (58) and vice-captain Ajinkya Rahane (51) were sharing a fourth-wicket partnership of 101, India were in the hunt. But they folded quickly after Ali snared Kohli and Rahane either side of tea. "We can look at the scoreboard and say we were only 30 runs away or 50 runs away, but we have to recognise that when we are in the midst of the situation, and not later," Kohli told reporters. "We know that we have played good cricket but we cannot say again and again to ourselves that we have competed." India only lost the first Test by 31 runs. Kohli is the leading batsman this series with his tally of 544 runs at an average of 68, including two hundreds. But it still has not been enough to drag India to a series win. "When you come so close, there is an art of crossing the line as well, which we will have to learn," Kohli insisted. "We have the ability, which is why we are getting close to a result, and we have belief in that ability. "But when a pressure situation comes, how we react to it... is something we have to work on a bit, and everyone is ready to work on that." It may well also help India to have more warm-up games in order to adjust to local conditions, which often play such a large part in Test cricket. They had a solitary red-ball match against Essex prior to this series -- and that game was reduced to three days from four at their request. India then went 2-0 down before winning last week's third Test at Nottingham's Trent Bridge by 203 runs. At Southampton, they reduced England to 86 for six only for Sam Curran to again prove a thorn in their side, with the 20-year-old all-rounder's Test-best 78 taking the hosts to 246 in their first innings. "We've spoken about that, even during the match when we're in a driving position, we should be able to capitalise on it and not let the opposition come in and fight back again and again," said Kohli. "At Nottingham we did that, for three days we were relentless and were on top. So we need to think about how to start a series like that as well." India lost 2-1 in a hard-fought Test series in South Africa earlier this year and Kohli took some consolation from their performances in England as well.